TIREST Hotel is located by the road nr 50. Just 44 km from the center of Warsaw and 8 km from Mińsk Mazowiecki. Surrounded with meadows and forest. Due to our location we are a great alternative for much more expensive hotels in Warsaw. 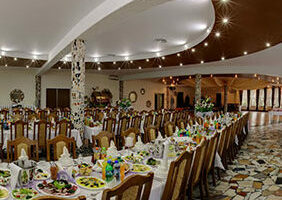 TIREST Hotel is the perfect place to stay for business travelers, organized groups and school trips. Our adventage is familly atmosphere what is especially appreciated by our long term quests. We are a comfortable place for them to rest.